Cancer was the leading cause of death in 2018, accounting for an estimated 9.6 million deaths worldwide. This horrible illness touches almost everyone in some way and recently affected the lives of WBC junior welterweight titleholder Jose Ramirez and his handler, Rick Mirigian. The popular Ramirez, who is rated No. 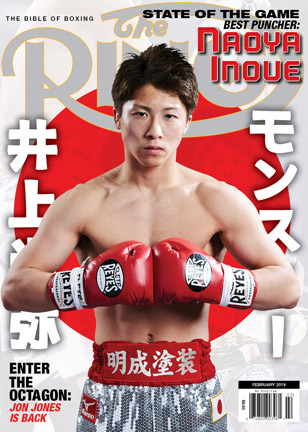 3 by The Ring at 140 pounds, will make his second title defense against Jose Zepeda at the Save Mart Arena in Fresno, California, on Sunday and the promotion is being centered around raising awareness. “I’m very happy and grateful that Team Ramirez was able to make this happen,” said the champion in an interview with The Ring. “My manager currently has his mother fighting cancer and I lost both of my grandparents through cancer. I know how much families have been and are being affected through my visits to Clovis’ new cancer building and the Valley Children’s Hospital. “Sometimes fights are won through the mental process so creating a positive movement that reminds people that ‘every moment counts’ makes a lot of these fighters (cancer patients) feel supported and motivated to continue pushing forward. Mirigian came up with the innovative idea because he wanted to do something positive for his mother who is dying of cancer. 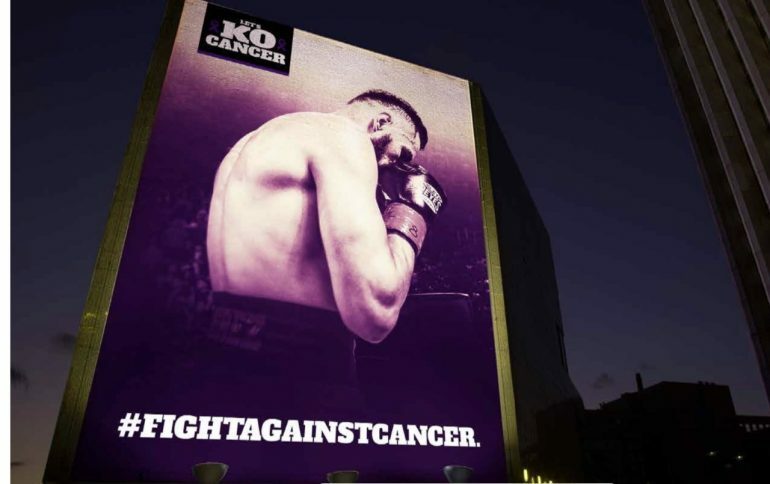 In the arena on fight night, 10,000 people will have a placard with “Let’s KO Cancer” on their seats to hold up when Ramirez makes his ring walk. The path to the ring will light up purple, and someone who has beaten cancer will hit the bell to begin the contest. According to Mirigian there will be a number of classy touches from Team Ramirez. “Ramirez will wear purple gloves, walk out with a white shirt with purple ribbon on it and [wear] special shoes and attire,” said Mirigian. “All the attire will be auctioned off and given to the cancer center. We’re donating a portion of the ticket sales and vouchers to the cancer center. Ramirez will visit a cancer center the week of the fight to encourage people receiving treatment to keep fighting and donate 1,000 tickets to the hospital for families. “My girlfriend’s aunt just passed away a week ago to cancer,” said Ramirez. “My visits to the hospital and seeing many innocent kids from the age of three to 17 years old being affected just seems so unfair. Boards and other items with the theme and message are dotted around the city.